The showground is best known as the venue for the annual Great Yorkshire Show but year round it hosts a wide range of events, from exhibitions to weddings and from the Harrogate Spring and Autumn Flower Shows to numerous trade fairs and dinners. Many of these are based in the Society’s two exhibition halls at the showground on the edge of Harrogate. The Society is applying for planning permission to replace the original hall with a more modern and visually pleasing building, so it can continue to use this for its own events and all the other events that come to the Showground. The £10m project will be the largest ever undertaken by the Society. The Great Yorkshire Showground has 5,372m² of lettable event space in the current Hall 1 and adjacent Hall 2 which, if the application is approved, would increase to 6,270m². The proposed new Hall would comprise 4320 m² compared with existing building which is 3422 m². An independent survey last year by Genecon, revealed that the Showground adds £47m per annum to the local economy. Heather Parry, Deputy Chief Executive said: “Hall 1 was originally constructed in the 1960s and expected to last for 20 years so it has been a good Yorkshire investment! Unfortunately it is now deteriorating so we need to replace it. Today’s visitors expect higher standards and better facilities than those of 50 years ago so we are adding a large foyer area, a café and improved toilet facilities. 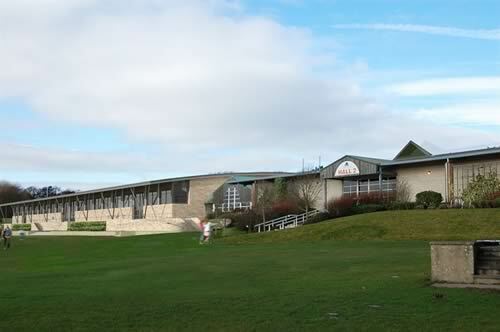 “Harrogate is already a popular choice for event organisers and we want to make sure it stays up there with the best. It is expected that the cost of this building will be in the region of £10m, which is a significant investment but an important one for the financial future of the Society and the local economy. We work closely with HIC in the Harrogate town centre and are attending Confex, the national events show, together with Visit Harrogate. Our facilities remain complementary but distinctly different”, she said. A recent consultation day for the Showground’s neighbours was extremely positive with all but one saying the scheme was a huge improvement on the existing structure. Consultation has also taken place with local business including the town’s hotels and guesthouses - 19 of which have written letters of support. The project has also been warmly welcomed by The Harrogate Chamber of Trade & Commerce. The building has been designed by P+HS Architects, who also designed the Regional Agricultural Centre and Fodder. The company is based in Stokesley, North Yorkshire. The Great Yorkshire Show has been held in Harrogate since 1952 and in June 2009, the Society opened Fodder, its award winning shop and café, as well as the Regional Agricultural Centre. A registered charity, all the profits from hosting events on the showground go to help fund its work raising awareness of the importance of Britain’s agricultural industry. These initiatives include 14,000 children who attend rurally related events, ranging from ‘Countryside Days’ for primary school children to the autumn careers event for teenagers where opportunities for employment in the rural sector are amongst the opportunities highlighted. In addition the Society funds work to help keep rural areas vibrant and to promote farming initiatives. Most recently it launched the Future Farmers of Yorkshire group and the Farmer Scientist Network as well as Springtime Live – a fun day out with a rural theme aimed at young families.